This is TRULY a last minute costume for my husband and I. We actually have a reason to dress up for Halloween this year because we are going to attend a 40th birthday party, however we kept changing our minds. Finally, now that Halloween is only a few days away, we have our costumes. 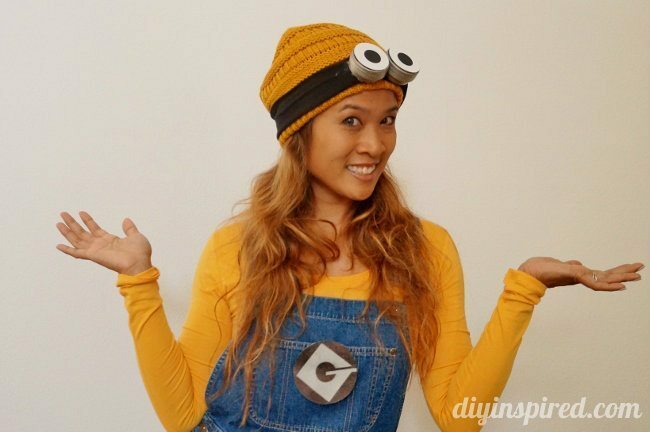 Here’s how to make a last minute DIY adult minion costume. Originally I used part of these goggles for a steampunk look we were going to do this year, but changed our minds. I only spent $3.00 to make these. For these goggles you only need a few things. 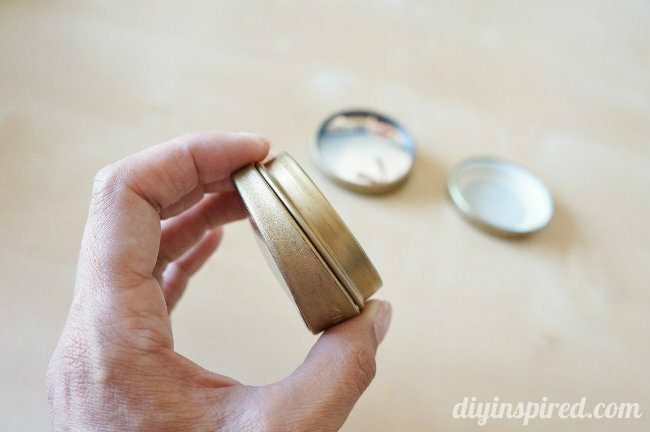 Glue one blind spot mirror and one jar lid together. Repeat for the other side, or you can just do one. 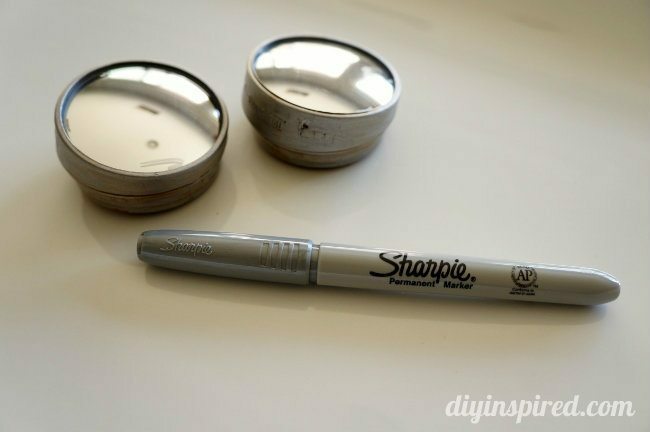 Color the edges with a silver Sharpie. 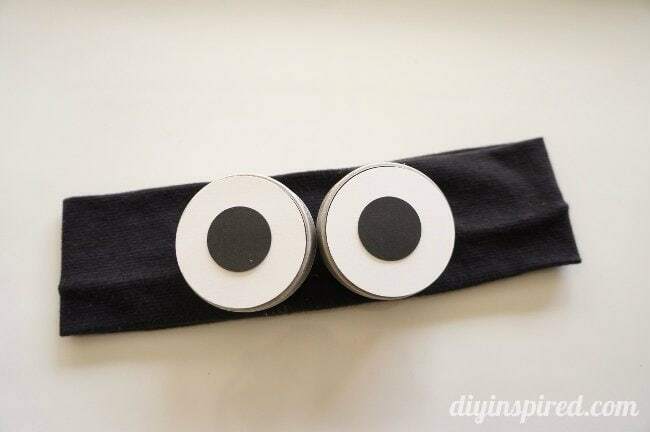 Use a circle craft punch or trace round objects and cut them out to make the eyes. 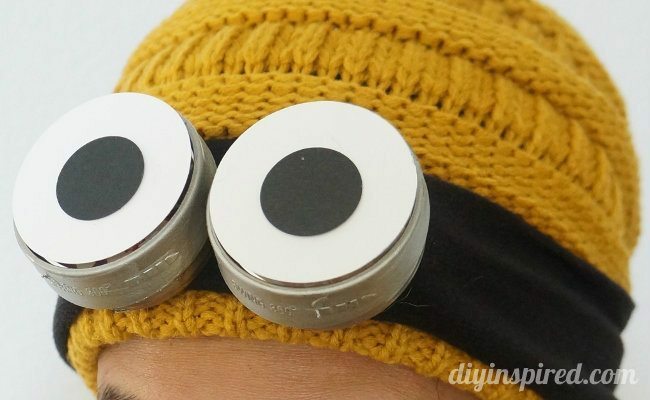 Glue them onto the goggles and onto the headband. Make sure to glue in between the two goggles as well so that they stay together. 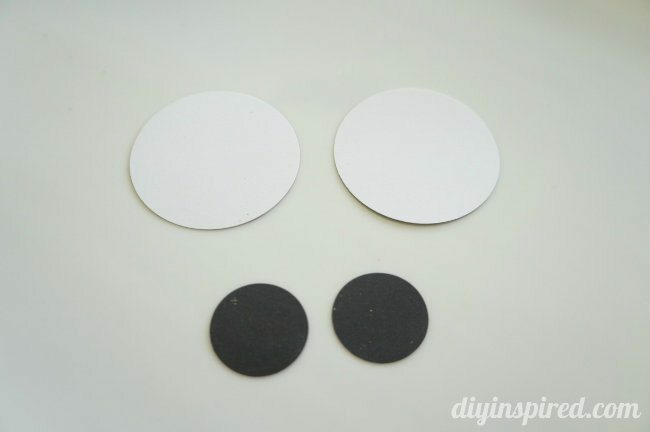 Simply print a mirror image of the Minion logo on iron-on transfer paper and iron it on to a piece of felt. 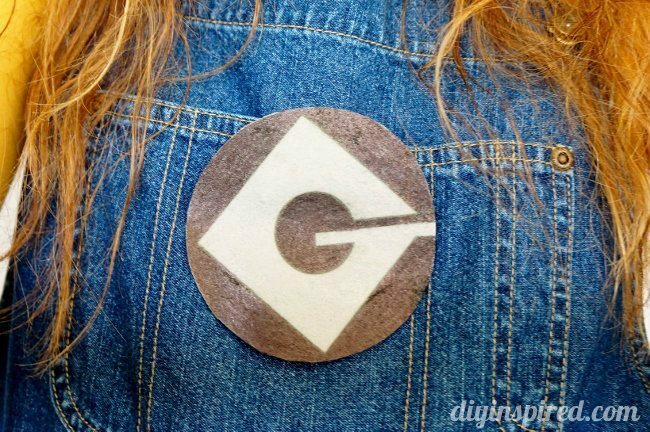 Cut out the logo and add a pin to the back. 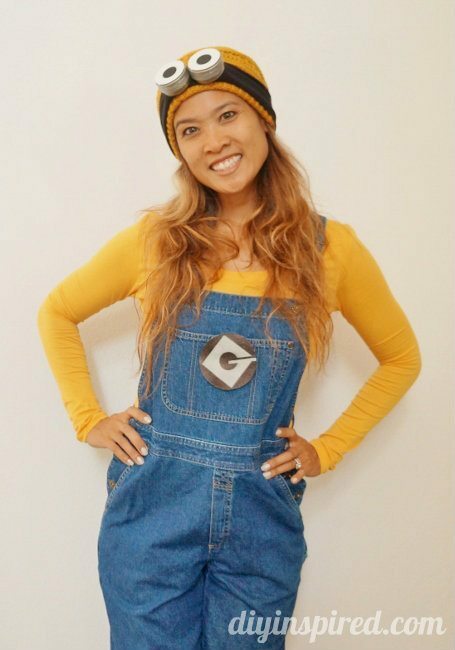 This way you can easily take it on and off the overalls… I mean…overalls ARE back in style now! The best part of this costume is that it’s comfortable and warm! Here are some after photos! hello, i was just wondering what the purpose of using the blindspot mirrors was… can you just use the jar lids? Hi Mary! You can use jar lids, however I liked the depth and shape of the blind spot mirrors. Either will work!